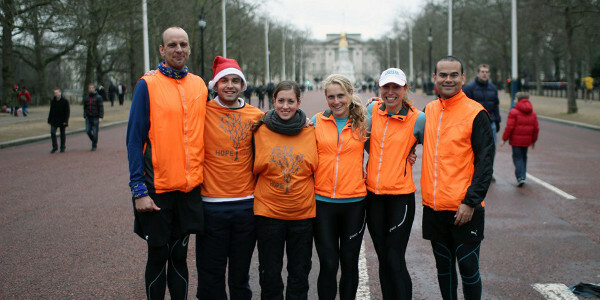 During December 2012, the therapists from F.A.S.T helped a group of runners complete the gruelling challenge of ‘12 marathons in 12 days’. This was in a bid to support HOPEHIV and we are proud to say they successfully raised over £125,000. We provided injury prevention exercises and biomechanical screening prior to the event, as well as hands on treatment every step of the way around the UK!